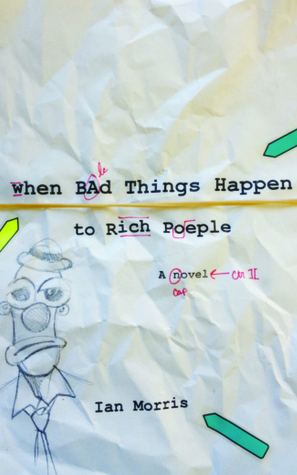 “When Bad Things Happen to Rich People” is Chicago-based writer and founder of Fifth Star Press Ian Morris’ funny and briskly paced debut novel, a social satire set in Chicago during the lethally hot summer of 1995. The novel’s protagonist, Nix Walters, is an adjunct instructor of English at a communications college in the Loop, where he has few prospects for advancement. When Nix was still in his early twenties, he became a literary punch line when his first and only novel, touted as the next big literary phenomenon, was universally panned by critics. Now, years later, his pregnant wife Flora and he are struggling financially. Their fortunes change, however, when Nix is asked to ghostwrite the memoirs of publishing magnate Zira Fontaine. Although grateful for the lavish author fee, Nix quickly finds his marriage, his career and his identity threatened as he struggles to retain his self-respect as both writer and teacher while working on Fontaine’s memoir. His marriage is going off the rails and Nix must also navigate a board-led insurrection at Fontaine’s corporation. These tensions come to a turbulent climax when a brutal heat wave hits the city. You’ve set your novel in the summer of 1995, a year many of us remember for the intense heat wave that claimed the lives of hundreds of Chicagoans. Was it your memory of this debilitating stretch of 100-degree-plus days that inspired you to set your novel nineteen years in the past? My memories of the 1995 heat wave were an important part of my motivation for writing the novel, though my first impulse was to write a novel set in the present set around a kind of Every-Killer-Heat Wave, of the sort we will be experiencing more and more. However, my wife Mary suggested I set the book during the actual Chicago heat wave, since that was such a dramatic and historic moment in the city’s history. I’d moved to Chicago in 1991 from Fayetteville, Arkansas, which was an idyllic southern town, where I’d gone to graduate school and was very happy. Wicker Park was a distressed neighborhood at the time, and I initially struggled there in every aspect of my life. My apartment was a decrepit tenement, along the lines of the one described in the book. There was a drive-up crack operation in front of my building, outside of Hans Christian Andersen Elementary School (which was so perfectly ironic), and drive-by shootings every weekend night when the weather was pleasant. At the same time, it was an exciting place to live and there was the music everywhere—Urge Overkill, Liz Phair and the [Smashing] Pumpkins. The admin in the English department at the college where I taught was the bassist for Babes in Toyland. Those were also the last days before we were all yoked to cell phones and laptops. You demonstrate a real flair for satire in “When Bad Things Happen to Rich People.” In it, you examine academia, the publishing business, domesticity and disparities in wealth among the working, middle and upper classes that since 1995 have only grown more glaring. Who were some of your influences? This novel is essentially a mash-up of my two favorite movements. In college I got turned onto the novels that were written in Chicago a century ago, Dreiser’s “Sister Carrie,” Henry Blake Fuller’s “The Cliff Dwellers” and of course “The Octopus” and “The Pit” by Frank Norris. I admired how those writers explicitly attacked the social issues of their day in broad operatic strokes. But my sensibility as a writer was formed reading the paperbacks that were lying around our house when I was a kid. My dad loved comic novelists like Bruce Jay Friedman and Peter DeVries. Also Joseph Heller and Philip Roth were big with both my parents. “Portnoy’s Complaint” and “Catch-22” remain two of my favorite novels to this day. So it was that mix of social consciousness and laugh-out-loud funny that inspired the tone of the book. Your main character, Nix Walters (I love that his real name is Walter Nixon), could be called an anti-hero. Was he ever, in previous drafts of the novel, a different kind of guy? More earnest maybe, and less willing to ignore his sweet wife Flora’s needs? Absolutely, he’s an anti-hero. He’s Meursault in Chuck Taylors. Nix’s crime was that his heart was broken, and he sought to salve the pain in writing the sort of novel that was popular with the young people of his day. That he lacked talent was a matter of fate—as was the fact that, in his failure, he fulfilled the expectations of his gloomy parents. It was necessary to the conception of the novel that Nix be a schlemiel. But at the same time he is not without ability or charm. 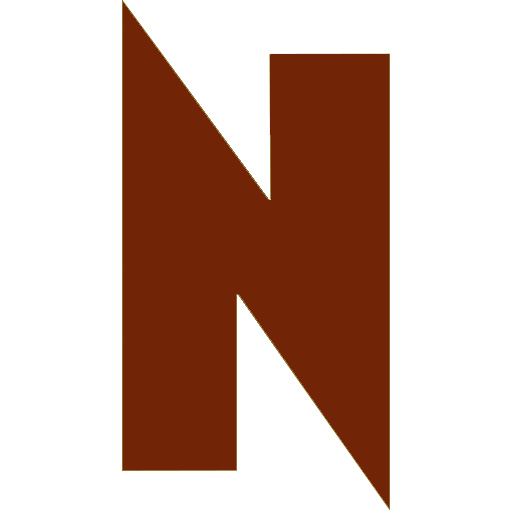 You’ve had a lot of experience as an editor, at, for example, TriQuarterly, Northwestern University’s literary journal, and more recently, as the founding editor of Fifth Star Press. How did these experiences prepare you for the work of editing your own manuscript as you readied it for publication with Switchgrass Books? My experience as an editor was of no use to me as a writer finishing a book. I love rewriting. I have faith in my ability to revise line by line. I enjoy that, but when I have to revisit a draft as a whole, it’s torture. I suffer from debilitating survivor’s guilt and can barely bring myself to read what I’ve written. So I must credit the terrific editors at Switchgrass for helping me smooth the rough edges. I admired how you resisted turning Zira Fontaine into a caricature of a rich, selfish businessperson who trods without a thought on the poor. She certainly has flaws but she’s not a gorgon. Is she your favorite character in the book? If not, who is? Thank you for saying that about Zira. I think the one thing that keeps literary writers from making any money—as opposed to writers of genre—is that we are not in control of our characters. I felt that if these two people (Nix and Zira) from different worlds were put into a room together, over and over, they would develop an empathy for one another that would defeat expectation and stereotype—even in a broad satire. I grew to like Zira, unexpectedly, as the book evolved, but she is—understandably, given her circumstances—too armored to be my favorite. If I had to pick a favorite, I would probably say Flora, Nix’s wife, though that’s a cop-out because she’s inherently likable—a materialist for all her Marxist convictions—but a sympathetic person. I’d like to pick TV news anchor Frank Stuckey, but he is a caricature. Currency trading is an important part of the novel and Zira is an expert on the subject, having made her fortune from it—how much research did you need to do on this subject? And what attracted you to this particular business as you were drafting this book? I was on a blind date years ago and the woman told me she’d been approached to write the memoirs of a currency trader. She asked if I thought I could do that sort of thing. I said, “No, but I could write a novel about a writer who was asked to write the memoirs of a currency trader.” Which is how the idea got into my head, then I forgot all about it, only to have it pop up again years later. I always over-research, but I didn’t want the book to be a financial thriller. The idea of buying and selling money struck me as a great metaphor, almost capitalism as self-parody, but actual currency trading is quite interesting. It’s only been around for about forty years. In the early days, billions of dollars were exchanged on handshake agreements over the phone. If you don’t mind telling us, what are you working on next? I have just finished a novel called “Simple Machines” about a father and son who run a bike shop on an island in Lake Superior. And I’ve just begun the book that I’ve been dying to write my whole life. Don’t want to give much away, but it’s set in the Catskill resorts of the 1960s.